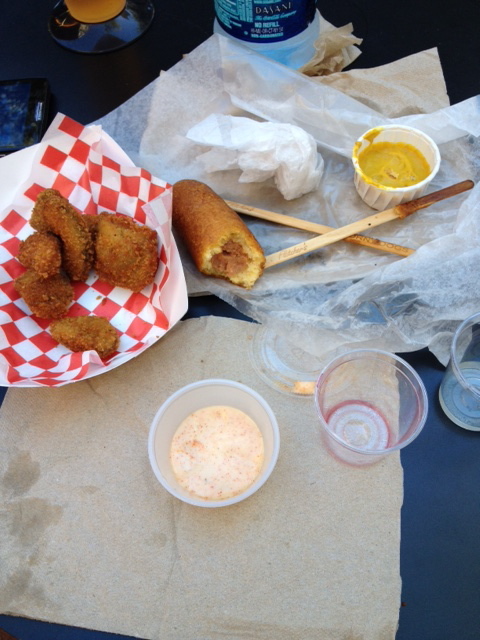 This is the final post about my wine & dine experience at the Texas State Fair. I had to try a Fletcher’s corny dog with wine. There is something about Fletcher’s…maybe it’s the batter, it’s earthy with a bit of sweetness that encompasses the salty meatiness of the dog. *I did not put mustard or ketchup on my corny dog. Vintage Lane (Subsidiary of Lost Oak Winery) Willow White – bright acidity and floral. It was good and refreshing with the dog. 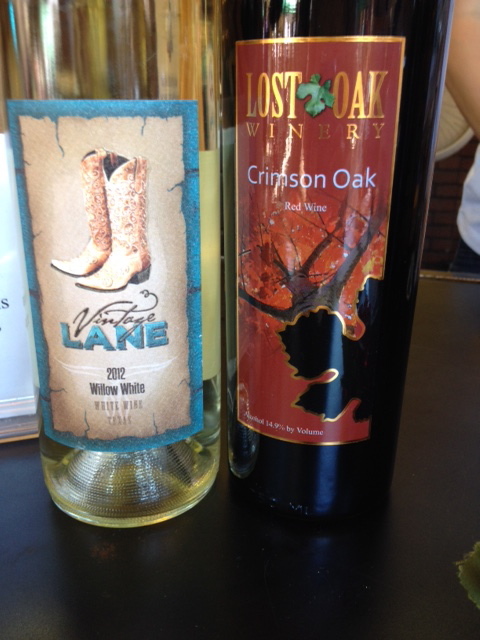 Lost Oak Winery “Crimson Oak” – light tar, some spiciness. The wine added some spice to the dog. Not bad. 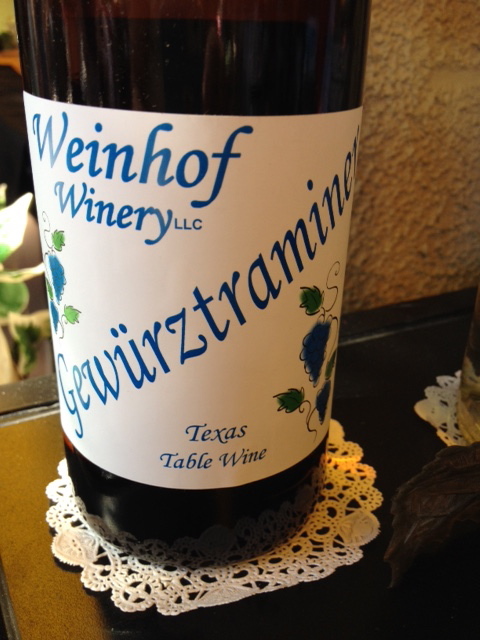 Weinhof Winery Gewürztraminer – sweet with an earthy undertone. It was a good match because it brought out the sweetness in the batter. 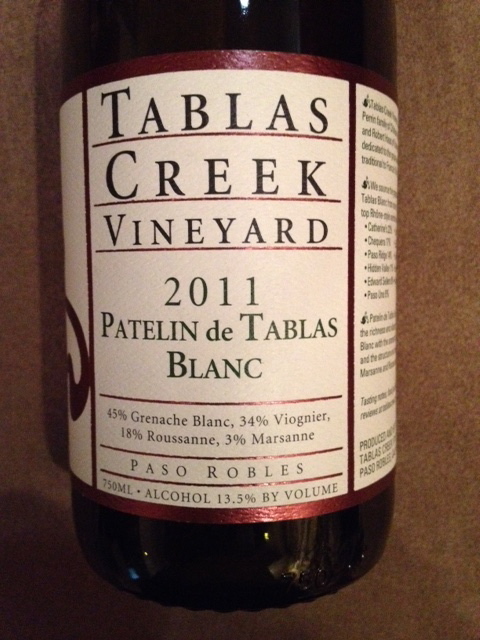 Fairhaven Vineyards Blanc du Bois – slightly sweet with a refreshing clean finish. Really good with the corny dog. Fairhaven Vineyards Chambourcin – blueberry & cherry with good acidity. It added more earthiness to the dog. It was a good match with the meat of the dog but it did cover up the sweetness of the batter. I did the same wines with Avocado Fries. The fries were spicy and crunchy with a rich earthy flavor. Vintage Lane Willow White – The wine had enough body and floral sweetness to stand up to the spiciness of the fries. Lost Oak “Crimson Oak” – The fries flattened the wine and made it bland. Not good. 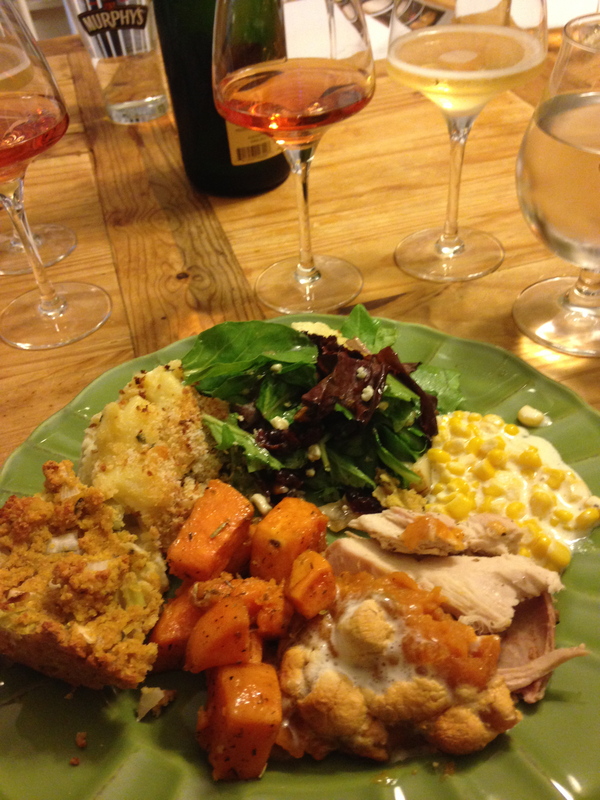 Weinhof Gewürztraminer – good pairing because the wine was sweet and the food was spicy. Opposites are a good thing in this instance. 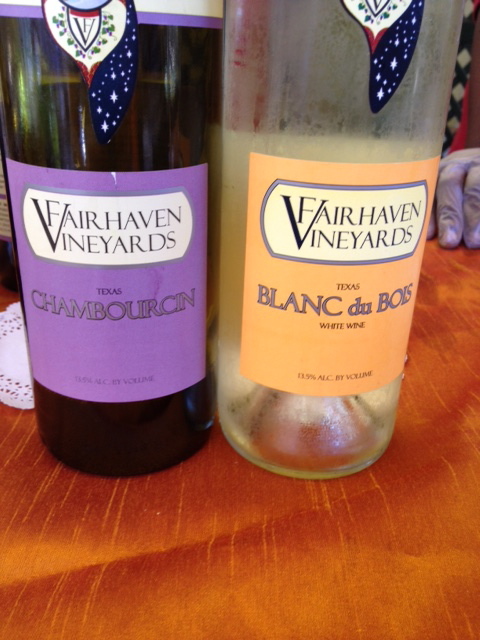 Fairhaven Blanc du Bois – The fries spiciness and the acidity in the wine was not the best pairing. Fairhaven Chambourcin – This was a nice pairing because the wine had enough dark fruit element to counter the spice in the fries. I also want to say that this wine is not sweet. However, Fairhaven does offer a sweet (dolce) version that reminded me of a well-balanced Black Muscat. This concludes my adventures in Texas State Fair food & wine offerings and I hope I can work off the pounds I gained….what I do for my Twisted Peeps LOL! This is my 2nd round of doing a wine pairing with the food that is available at the Texas State Fair. 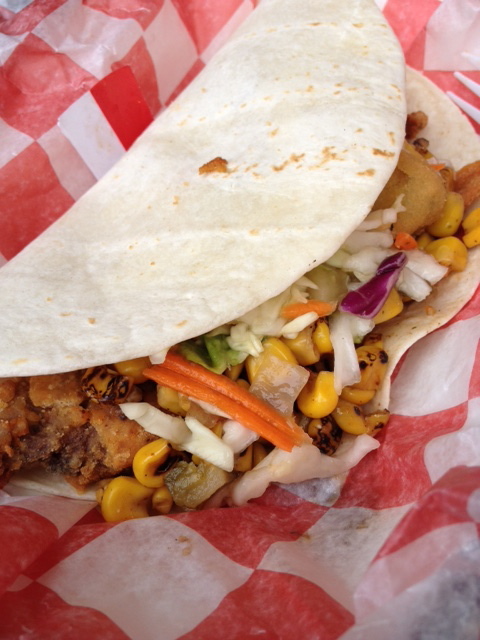 Food: Twisted Taco – Chicken fried steak, fried okra, roasted corn, spicy slaw in a flour tortilla. 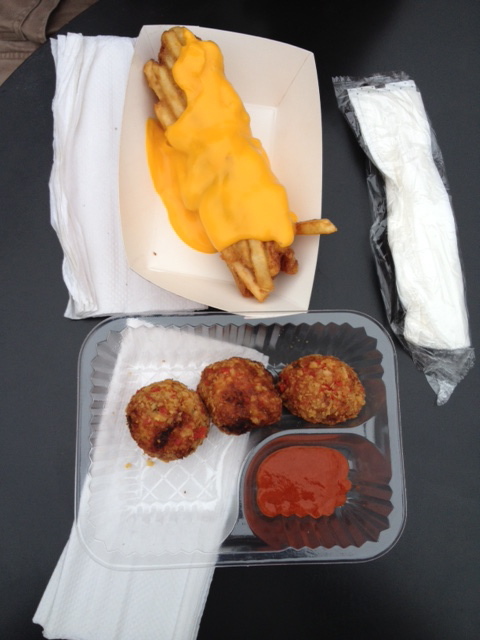 I think this is my new fave dish at the fair. Wine: Bar Z Winery – Sangiovese – Bright cherry, earth, good acidity. Fantastic with the taco. Wish I had gotten a glass and just chowed down with the taco. 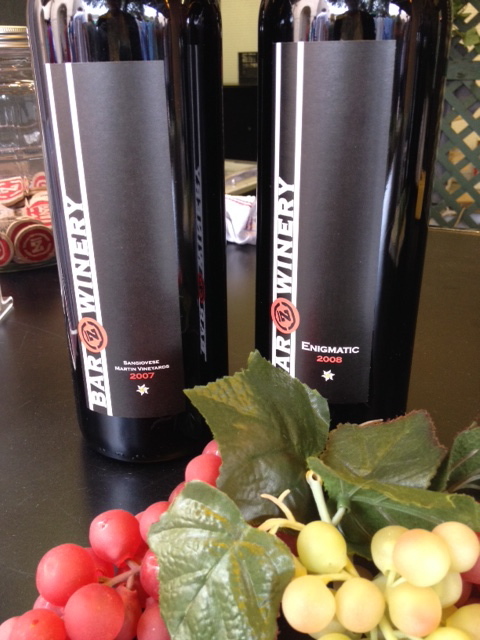 Wine: Bar Z Winery -“Enigmatic” Tempranillo blend – dirt, leather, tobacco leaves. The wine was almost too much for the taco and added a leather element that was a bit off. The wine on it’s own was good. 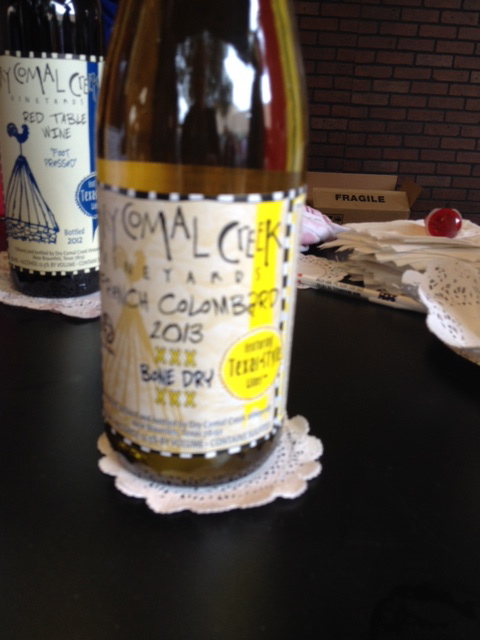 Wine: Dry Comal Creek – French Colombard -butter, light toast & bright citrus finish. Good with the taco and was refreshing too. Food: Sriracha Balls – damn hot ball of fire with corn & chicken! I liked it, but after awhile my mouth went numb. 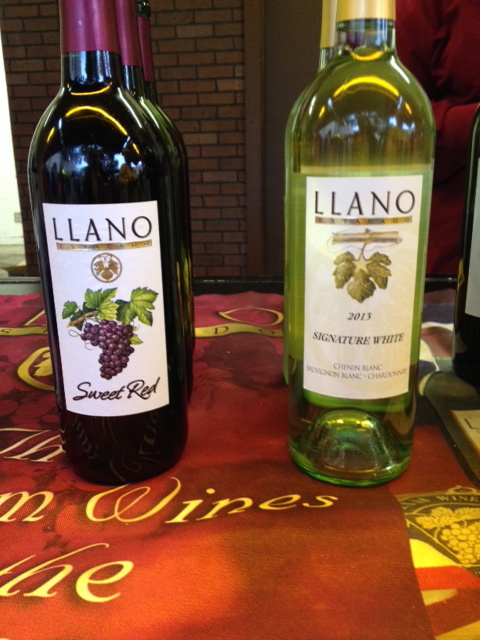 Wine: Llano Sweet Red – it’s basically like a red sangria (red wine with fruit). It actually stood up to the fire and quenched my thirst. Wine: Llano Signature White – stone fruit with a zesty citrus finish. This pairing was not good because the acidity in the wine intensified the heat of the food. Food: Fried Dog – a hot dog coated in fries, then fried and cheese poured on top. It was good, but eat it fast because it’s bad cold. Wine: Llano Sweet Red – It was ok with the dog. Nothing special. Wine: Llano Signature White – Not good with the dog. The wine gave the dish a weird tangy element. The wine on it’s own was good. I would consider it a patio/pool sipping wine. Bar Z Winery – Cabernet Sauvignon – smoke, earth, a little black fruit. Very good. 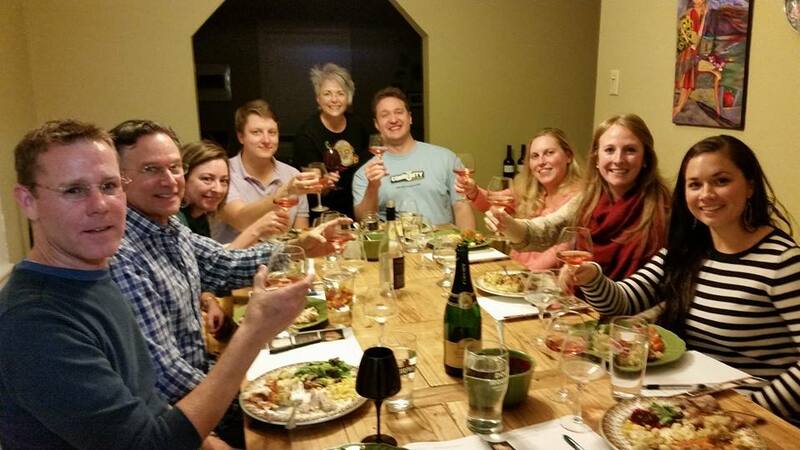 Dry Comal Creek Sparkling Demi Sweet – This is a sweet wine that I would consider for dessert. That was about all I could do for the day. I’m hoping to make it back and attempt a 3rd visit to the fair. This is a quick wine & food pairing guide to the Texas State Fair. Food: Fried Guacamole -tangy & spicy. My favorite food. I get this every year. Wine: Los Pinos Vermentino – honey, herbal with a little citrus. Very good with the guacamole. Wine: Los Pinos Texican – fruit forward with a little earth & mineral. Nothing changed with the food or the wine. Good. Wine: Messina Hof Blanc du Bois – light grapefruit with a light mixed citrus finish. The guacamole overpowered the wine because of the spiciness. Food: Fried Shrimp Boil – This won “Best Taste 2014” and I really don’t know why. It was just a bunch of corn flavored fried dough with a slight fishy flavor. 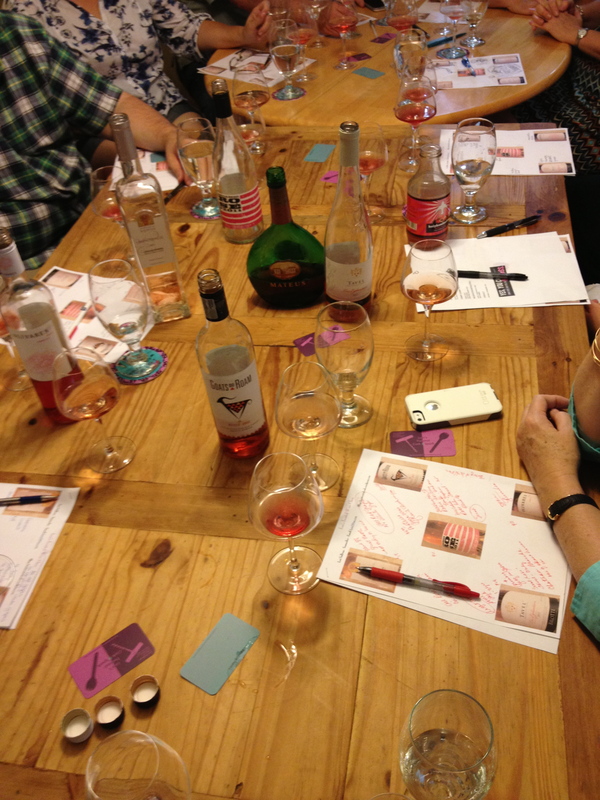 Wine: Flat Creek Dama Rosa Rose’ – fresh strawberries with a little orange blossom & honey. The wine really made the food better. Very Good! Wine: Flat Creek Super Texan – earth, dirt a little dark fruit. The wine was good with the shrimp and added some spice. Wine: Messina Hof DRZ – dark fruits with earthy dark spices and a light acidic finish. This was good with the shrimp because it cut the grease and added spice. Frito Pie…..nothing was good. Just get a beer. Cheers, Y’all from the Texas State Fair! 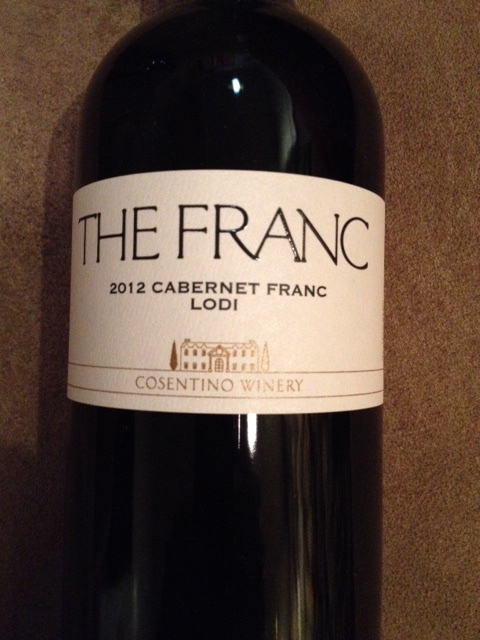 I was gifted a bottle of Merlot in the $10 price range & asked if I wouldn’t mind reviewing it…of course not! So this is for you, Dominick…Thank you! I decided to compare it with 2 other Merlots in the same price range and see how they stood on their own and up to food. #1) 2011 Columbia Crest Grand Estates, Columbia Valley, Washington. Smell: dried cherries, green herbs, vanilla. Taste: cedar, dark chocolate, vanilla with a hot, dry tannic finish that lasted awhile on the palate. This wine was made to go with food. #2) 2012 14Hands Vineyards, Columbia Valley, Washington. Smell: very faint cedar, vanilla, cranberries. 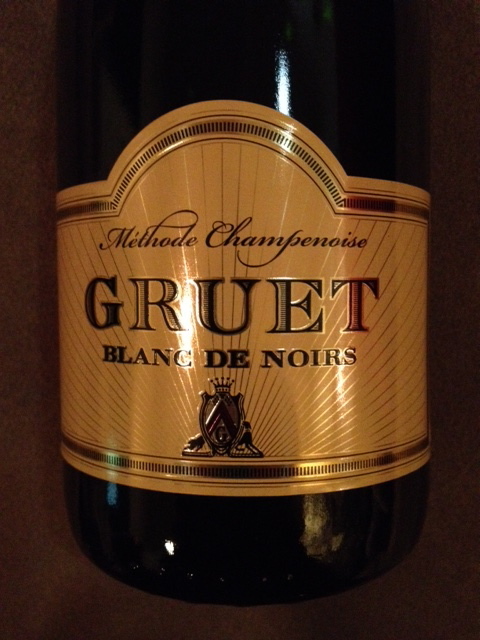 Taste: assorted dried red/black fruit & smoke with a round mouth feel and soft tannins and short finish. Very drinkable on its own. #3) 2011 Bogle Vineyards, California. Smell: dirt, dark chocolate, dried cherries. 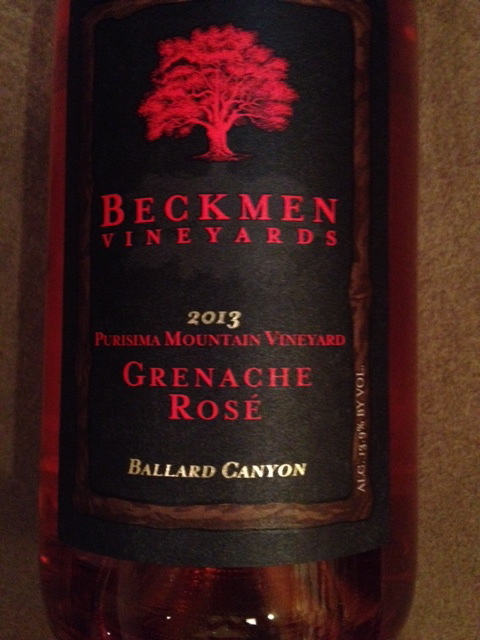 Taste: cherry, eucalyptus, with some earthiness in the soft, short finish. I was ambivalent about this. I paired the wines with Bertolli’s Chicken Marsala & Roasted Redskin Potatoes. 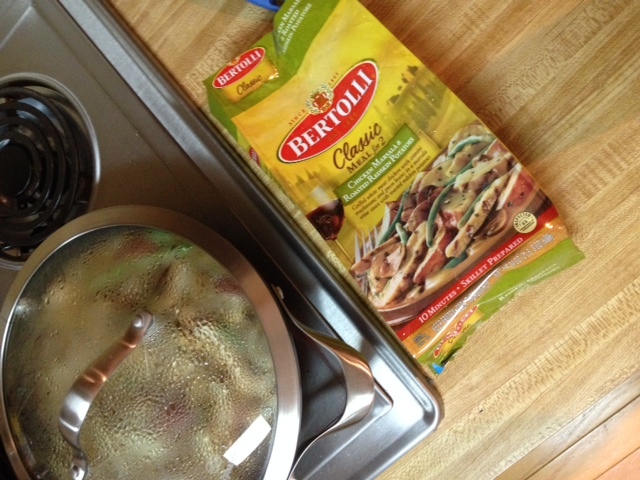 I love Bertolli! 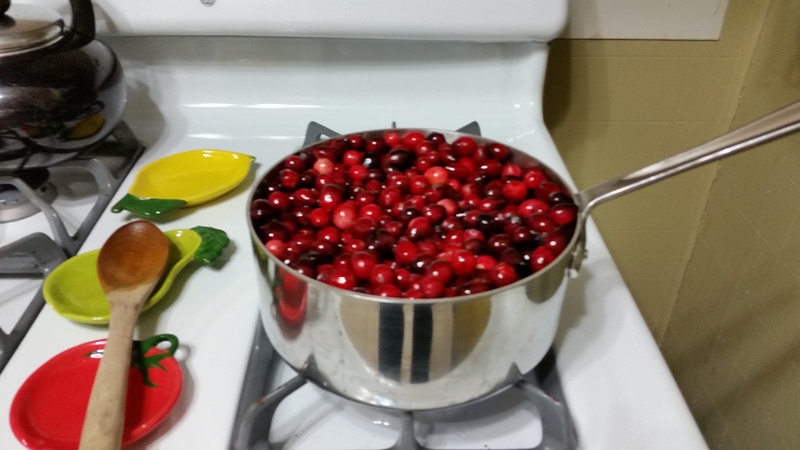 It’s so convenient to cut open a bag, pour the ingredients in a pan and heat it on the stove top. You are done in 15 minutes. Very good “sporkable” food. 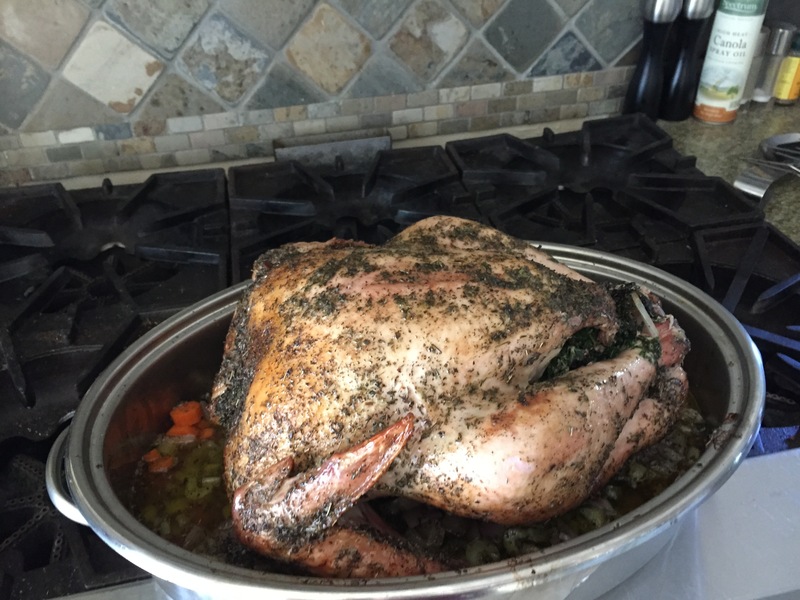 The Columbia Crest went well with the dish. The wine actually made the Marsala sauce a little sweeter (what’s not to like about that). I think that was from the vanilla aspect I kept tasting from the wine. The 14Hands really did nothing to the food. I was a bit disappointed. Bogle was a good pairing because it give the food a more earthy, robust flavor. Overall, I would take Columbia Crest & Bogle to a pizza party and everyone would like them. The 14Hands, I would just enjoy on its own. It’s definitely for relaxing. I would even consider this a good Summer red wine. This is the 2nd annual Viva Big Bend Food Fest that has been held in the area known as “Big Bend” Texas. The host cities were: Alpine, Fort Davis, Marathon and Marfa. I just love coming out to this area of Texas. The people, the landscape and the food are fantastic. When we got into Alpine, the first place we went was The Saddle Club for cold beer and Epic Fries. I don’t know how they do it, but the fries remain crispy and fresh even with all the good stuff they put on top of it. Our next stop was the Railroad Blues for the opening party. Big Bend Telephone was sponsoring the event and giving away samples of BBQ and fajitas, as well as magnetic koozies that came in quite handy! Tessy Lou and the Shotgun Stars provided live music. It was a great start to a great weekend. The next morning we drove to Fort Davis for a Cowboy Breakfast at the Fort Davis National Historic Site. The fort was a military post from 1854-1891. The path to the chuck wagon wasn’t very long and the smell of wood smoke and food was very enticing. We sat down in an oak grove and admired the mountains and chatted with friends, all the while eating biscuits with sausage gravy, eggs with pico and drank coffee cooked over a campfire….there is something about coffee done that way that I just love. That afternoon, we planned to go to Marfa to visit the Marfa Maid Goat Dairy. But just like last year, we missed it. Luckily, we did not miss the Tito’s Vodka Cocktail Dinner. This was a joint effort with Stephen and Jonathan Wood of The Saddle Club cooking 4 courses and David Alan the “Tipsy Texan” doing cocktail pairings. #1 – roasted cabrito with avocado mousse and Jonathan’s Salsa in tortilla cups. Cocktail: vodka, roasted pineapple, lime, cinnamon/clove syrup and tiki bitters. #2 – pork belly carnitas, grilled marinated artichoke bottoms with a pickled watermelon radish salad and a drizzle of bacon creme. Cocktail: vodka, pressed watermelon, mint and sugar. #3 – jalapeño rubbed beef tenderloin, bacon with a drizzle of roasted jalapeño creme. The 2 side dishes were pepper jack cheese hominy and sautéed chayote squash. Cocktail: vodka, Carpano Antica, Luxardo maraschino and bitters. #4 – sopapilla cheese cake with agave nectar and local honey. Cocktail: vodka, Cremes de Cacao and Menthe, frozen. Everyone really enjoyed the evening. The one thing I thought interesting was that the men at our table preferred cocktail #1 and the women preferred #2…but we all liked #4! Saturday was a blow out party at Big Bend Brewing with BBQ and the Doodlin Hogwallops providing music. We had samples of about 4 beers, one that we got a secret sip of was the Russian Imperial Stout (Motor oil smoky goodness. Loved it!) and got to look at the expansion construction of the brewery. Because we were having such a great time catching up with friends and enjoying the beer and music, I missed the Tito’s Vodka DIY Infusion Class. I was told that the infusion ingredients consisted of teas, herbs and fruits…no bacon…Darn! Our last night, we couldn’t decide between the Tiki Party at the Paisano, Movie Night at Airstreamland in Marfa or the Cow Dog/Plaine Party. We decided to stay in Alpine and go to Plaine (it’s a coffee/bakery shop) and eat Cow Dogs (the best hot dogs on the planet) and listen to music by Jon Hogan & Maria Moss. Sully got his Favorite Dog called the Mexican. It has pico de gallo, bacon, sharp cheddar cheese, mayo and ketchup. I got the rarely available Moofalatta. It has olive tapenade, with provolone and Genoa salami wrapped around the dog. Just meaty, salty fantastic! The next morning we packed up and left our home away from home (The Maverick) and faced our 8 hour drive back to Dallas with a great appreciation for food and friends we continuously discover in the “middle of nowhere”. Thank You Stewart Ramser and everyone in the Big Bend Area for making the Viva Big Bend Food Fest so much fun! Please go on the Viva Big Bend site to see all the stuff I didn’t have time to do, but I hope to do next year.